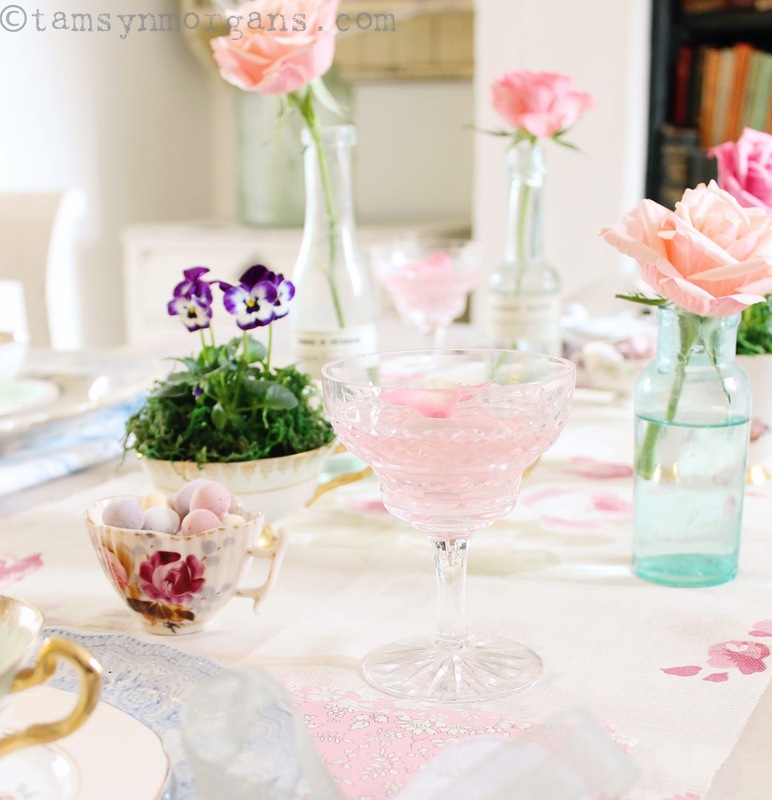 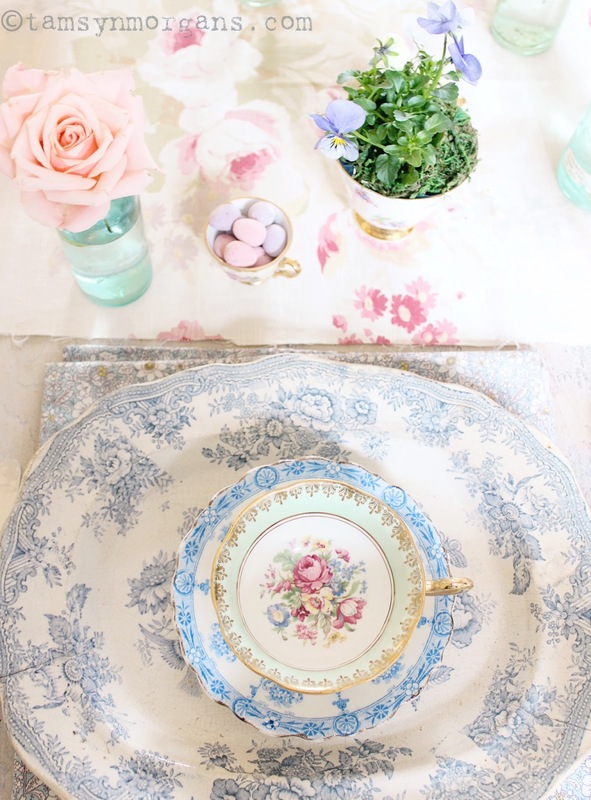 I had fun playing with this pretty Easter inspired table setting last week. 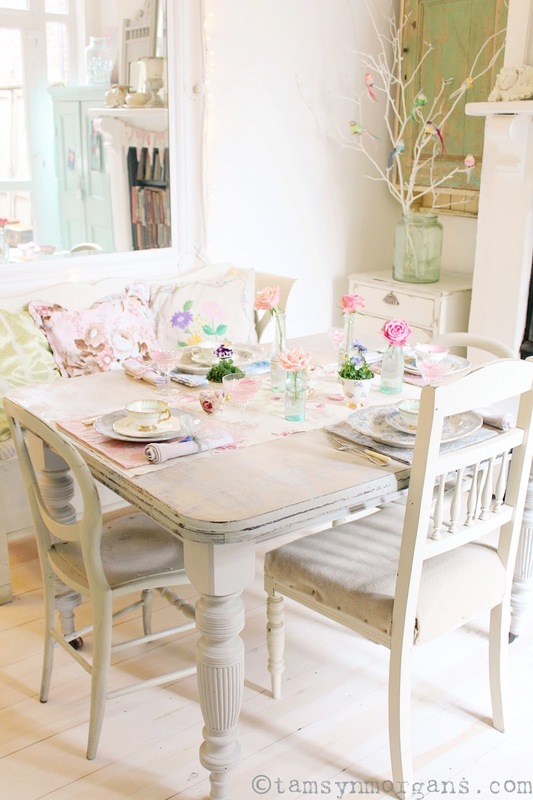 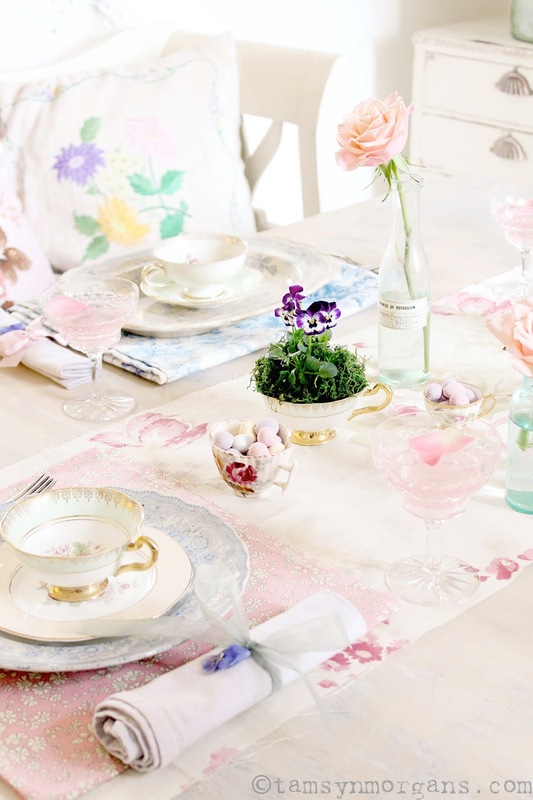 I layered mismatched china in shades of bright pastel hues, and raided my piles of fabric in the craft room to use as makeshift table mats and a runner. 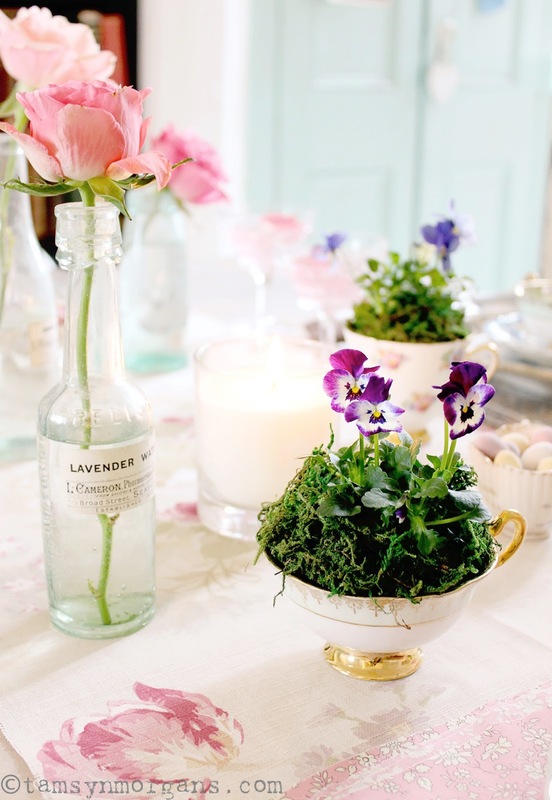 I had some roses which I placed in vintage green bottles to place along the centre of the table, although blossom would look beautiful if you have somewhere you can snip a few sprigs from. 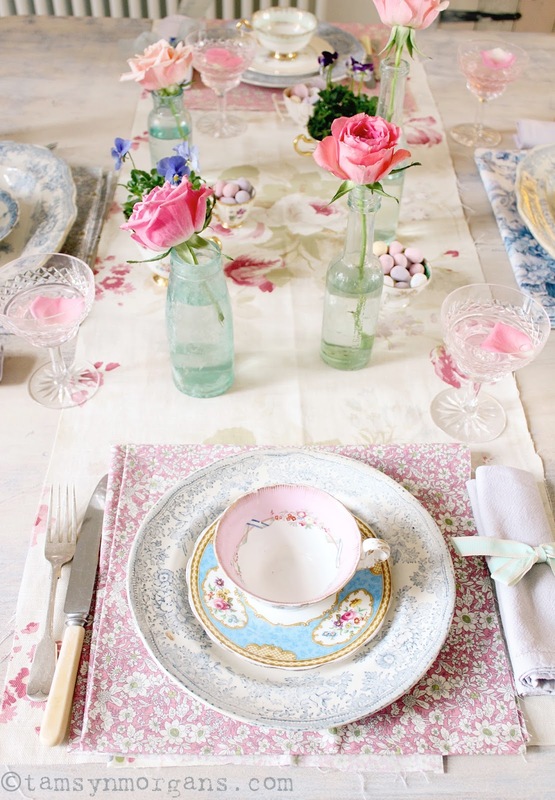 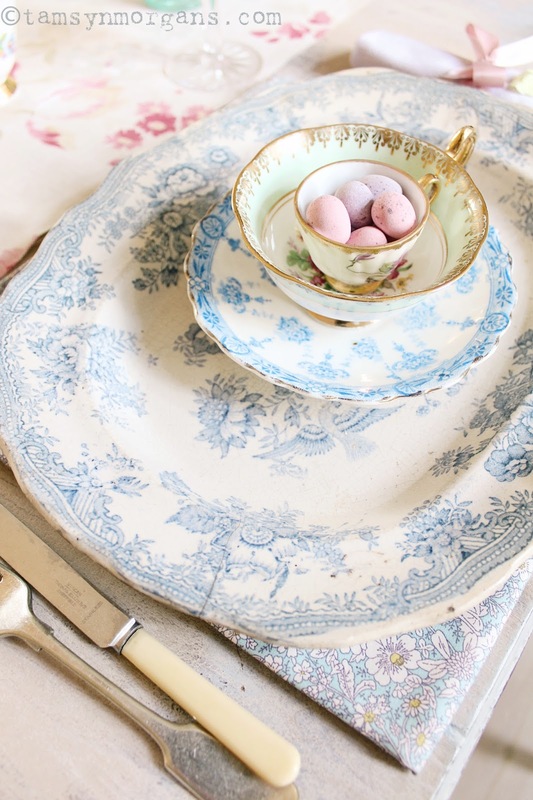 I placed a few of my violas in vintage teacups on the table, along with little bowls of mini eggs. 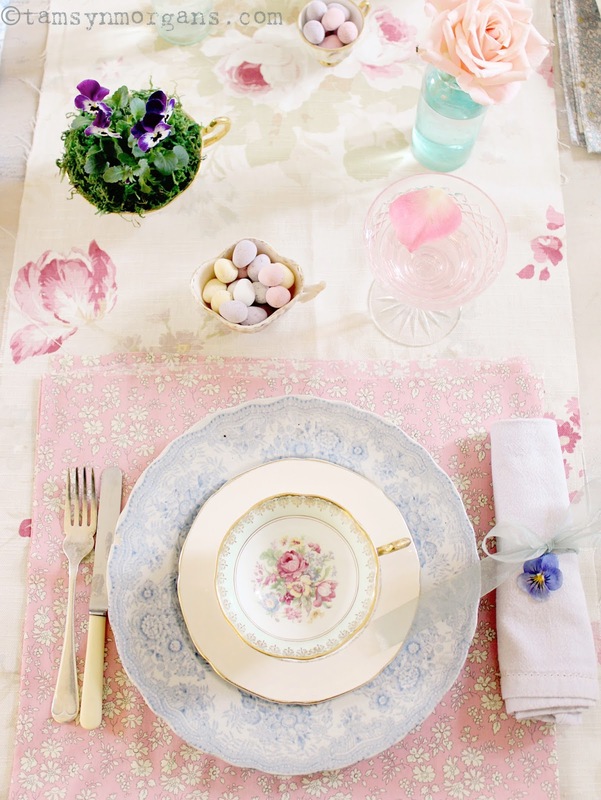 Perfect for an afternoon tea or Easter lunch!